Description. 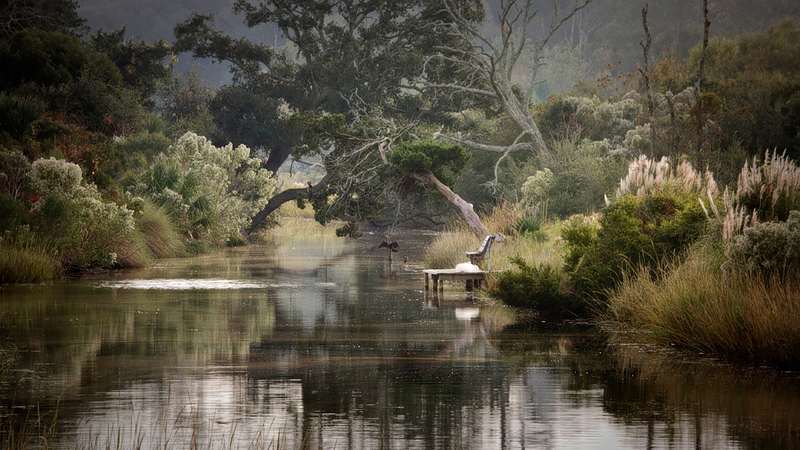 Explore your personal creative vision among quiet beaches, expansive marshes, shady maritime forests with windswept oaks, a charming Victorian town and unique historic sites such as Fort Clinch and Kingsley Plantation. Discover new ways to connect more intimately with the landscape and capture a sense of place. Amelia Island, our base for the week, is the northernmost barrier island among Florida’s Atlantic Coast. Along with Big Talbot, Little Talbot and Fort George Islands, it forms the southernmost of the Sea Islands that run from the Santee River in South Carolina to the St. John’s River near Jacksonville. As the gateway to Florida’s birding trail, there may also be opportunities to spot black skimmers, roseate spoonbills, ibis, woodstorks, egrets, herons and other birds. What to expect. This is primarily a field workshop, so we’ll head out to catch both the morning and evening light each day. During midday, we’ll gather in the classroom for image reviews and discussions. You'll have an opportunity to share current work and personal photographic goals on Monday. Throughout the week, you'll get feedback on the images you are shooting on the islands. These will be long, yet rewarding days in which you’ll capture many unique images, learn to look at things in new ways and explore your visual style. Since we're at the beach, we also want to relax and have some fun. You'll love the accommodations at the Amelia Seaside Inn, which is just steps from the beach and minutes from the Fernandina Beach historic district. We'll start the week with a casual gathering on the rooftop terrace Sunday evening, then celebrate our accomplishments at a closing dinner on Friday evening. Who should attend. This is a workshop for avid amateurs, emerging artists and professional photographers who want to refine their vision, expand their portfolio and inject some freshness into their way of seeing. You should be familiar with your camera’s operation and have a basic understanding of exposure metering and image processing. What to bring. Bring your digital camera, your favorite lenses (wide-angle to telephoto suggested), a sturdy tripod, and a laptop for downloading and working with images. You’ll need image-editing software (such as Adobe Photoshop, Photoshop Elements or Lightroom) to process your images and a memory stick to load them onto a classroom computer for sharing. A polarizing filter is strongly recommended and ND filters can expand your shooting opportunities. Enrollment is limited. We want to make sure each student gets plenty of time for one-on-one instruction and image feedback, so enrollment is limited to 8 students. Reserve your space now. Location. Our workshop will be based at the Seaside Amelia Inn, a wonderful boutique hotel on the beach with unique rooms furnished in a comfortable coastal style. Each room features a private balcony overlooking the ocean, the pool or a sunset view. Amenities include complimentary parking, Wi-Fi, a rooftop sun deck, daily cook-to-order southern-style breakfasts, and in-room coffee makers, microwaves, mini-refrigerators, hairdryers and flat-screen TVs with premium channels. Although you are responsible for booking your own room, a limited number of discounted rooms ($130-$195/night, plus 11% tax) are available for workshop participants. When you call the hotel (904-206-5300), tell them you are with Lee Anne White Photography's Workshop. We recommend booking your reservations as soon as you register for the workshop. Meals. Students are responsible for their own meals. A cooked-to-order breakfast is included for those staying at the Seaside Amelia Inn. There is a beachfront restaurant serving lunch and dinner right next to the hotel, and dozens of other restaurants within a 5- to 10-minute drive. Fernandina Beach is a foodie town, so there is no shortage of wonderful eats—from first-class burgers, gourmet pizzas and great seafood to Italian, Spanish, Thai, Caribbean and other cuisines. We may grab some of our lunches together or have them delivered to our classroom. Evenings are on your own or with other students. Sunday evening’s rooftop gathering, along with a Friday-night celebration dinner are included in the tuition price. Bar drinks will be available on a cash basis for the dinner, and if you’d like to bring a guest, they may pay for their meal separately. Cost and registration. Tuition: $975. Lodging and meals are not included. A $400 deposit, which includes a non-refundable $100 registration fee, is required to reserve your space. The remaining balance is due at least 30 days prior to the workshop. Enrollment is limited to 8 participants. (A minimum of 5 participants is required.) Space is available on a first-come, first-served basis. You may register online or email Lee Anne directly and mail a check. When we receive your registration and payment, we’ll send either an acceptance email indicating that you’re enrolled in the workshop or notification that you’re on the waiting list. Getting around. To explore the island you can drive your own car or carpool with other students. There are always workshop participants willing to share their cars in exchange for a bit of gas money. We can help coordinate this at our first meeting. Cancellations, refunds and trip insurance. If for any reason you need to withdraw from the workshop, please notify us in writing within 30 days of the first workshop day. We will return your deposit less the $100 registration fee. If you cancel less than 30 days before the start of a workshop, your $400 deposit is non-refundable unless we are able to fill your space, in which case we will refund your deposit less the registration fee.. Cancellations made less than 7 days before the start of the workshop will not be refunded unless we are able to fill your space. We highly recommend that you purchase refundable airline tickets and consider purchasing trip cancellation insurance. We will not be responsible for refunds due to illness, personal emergency, unattended workshops, or events not under our control. In the event that a workshop is cancelled for any reason, our liability is limited to the return of all fees paid to us. We will not be responsible for any loss on airline tickets, or any other losses related to cancellation. Waiver of liability. Lee Anne White Photography shall have no responsibility or liability for personal injury to any participant, or damage to any participant’s property, or for personal injuries or damage to the property of any other person resulting from the participant’s involvement in our workshop. We shall have no responsibility for the acts, errors, or omissions of instructors or staff, transportation companies, lodging facilities, restaurants, tour guides and outfitters, or other providers of services to participants in the course of the workshops. We have the right to cancel any workshop and to alter the time, context, or format of any workshop in the event circumstances require it.